NEW HAMPSHIRE -- Police are asking the public for help finding a man wanted on several animal abuse charges after officers found his cat severely malnourished in an apartment in which he lived. Police are looking for Kenneth Hale, 59, whose last know residence was 886 State St., Unit 33, Portsmouth. Police said on Sept. 22 they responded to the State Street apartment after the property manager reported hearing an animal in distress. 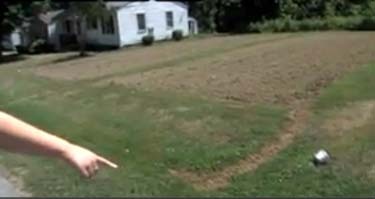 She said she couldn't find the tenant, so she called the police. Police arrived and eventually entered the apartment, where they found an adult female tortoiseshell cat suffering from severe malnutrition and dehydration. 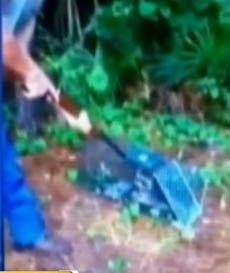 Police said the animal had no food, water or sanitary conveniences. 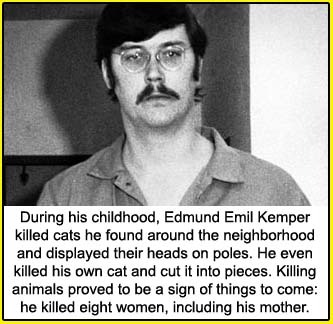 They brought the cat to a local animal hospital for treatment, and it was rehabilitated over the course of the next several weeks. Police said they examined utility records and found that no water had been used in the apartment since June 7. 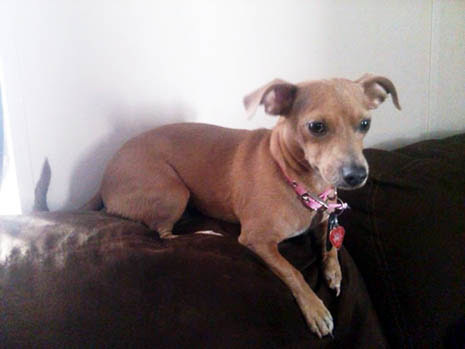 Veterinary records showed that Hale owns at least one other animal, and police are concerned for its well-being. Police issued a warrant for Hale's arrest, charging him with three misdemeanor counts of animal cruelty. 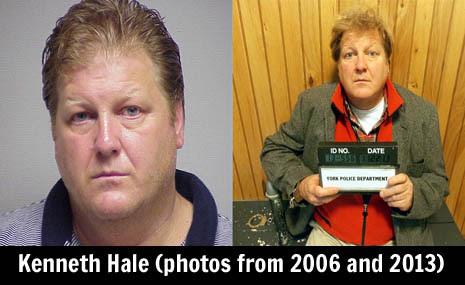 Hale is described as a white man, standing about 6 feet tall and weighing about 250 pounds. Police said he has blond or strawberry blond hair and blue eyes. Police have also distributed two photos of Hale, the most recent from 2013. Police said they haven't been able to locate Hale through public records or by talking to other residents. They said law enforcement databases also have been unsuccessful in finding him. 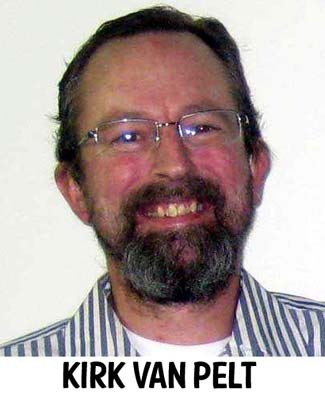 Police are asking anyone who may have seen Hale or knows of his whereabouts to call Animal Control Officer Bonnie Robinson at 603-610-7441 or to leave an anonymous tip by calling 603-431-1199 or visiting seacoastcrimestoppers.org. 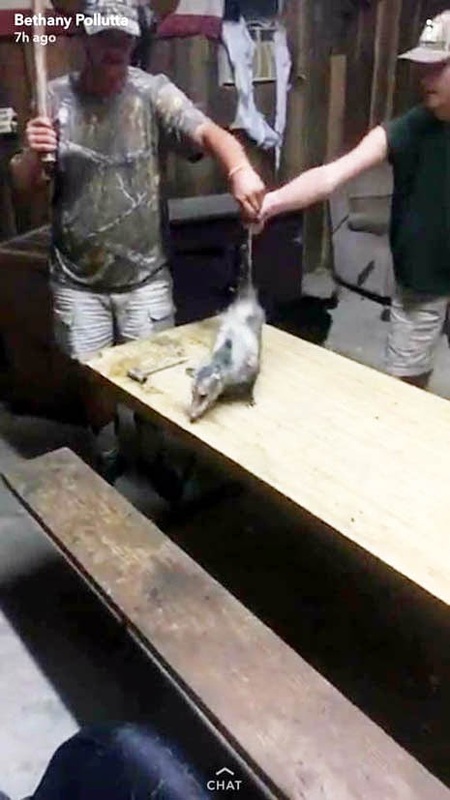 SOUTH CAROLINA -- Two adults and two teenagers are facing misdemeanor charges after a “disturbing” video was posted on Snapchat that showed an opossum being hung by its tail dangling over a dog and beaten with a baseball bat. 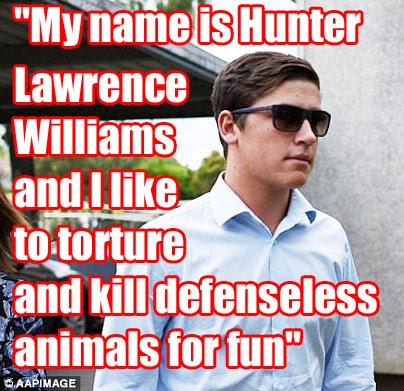 Bethany Polutta, 18, of Summerville, South Carolina and Austin Kizer, 19, of St. George, South Carolina, along with two people under age 18, have been charged with ill treatment of an animal, according to David Lucas, of the South Carolina Department of Natural Resources. Lucas said the two adults will appear in magistrate’s court, while the juveniles’ cases will be handled in family court. 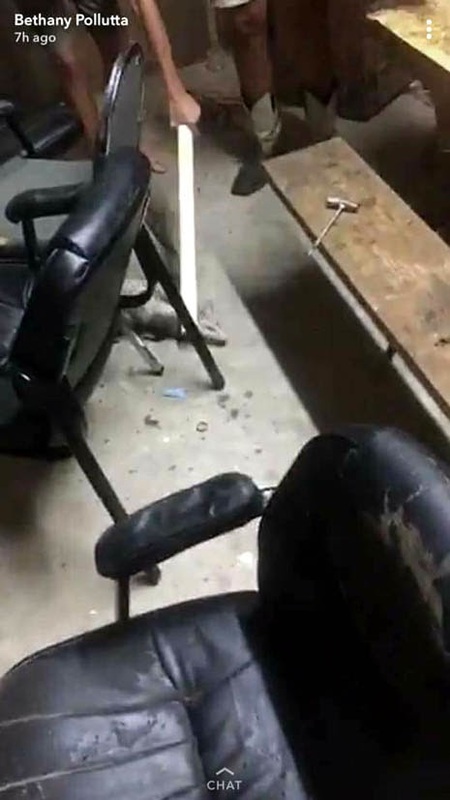 Authorities began investigating the incident in September when a video was posted on Snapchat that appeared to show several teenagers beating an opossum with a baseball bat in a garage. People who saw the Snapchat video took screenshots of the incident and turned them over to the Department of Natural Resources, Lucas said. “I think anyone who saw (the screenshots) would think it’s disturbing,” Lucas said. The video sparked anger and uproar on social media. 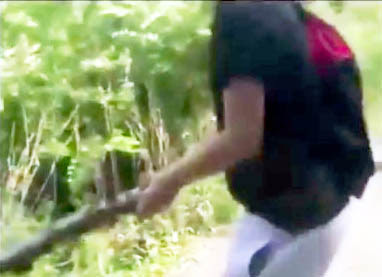 Renate Hartland, a wildlife volunteer in Seattle, launched an online petition to Dorchester County Solicitor David Pascoe demanding harsh punishment for the abusers in the video. 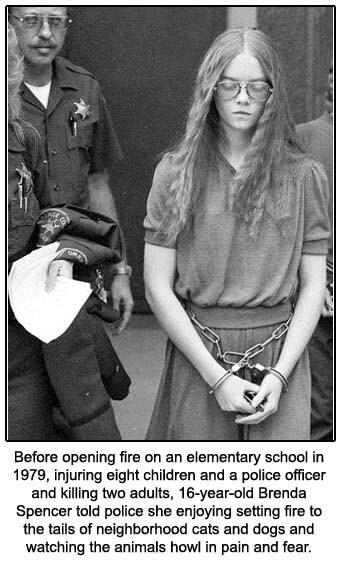 Hartland, along with other animal activists, named the opossum “Hope” and started the Facebook page “In Light of Hope” for the animal’s supporters. The Change.org petition has more than 33,000 signatures and the Facebook page has more than 1,400 followers. The petition requests more serious punishment than the misdemeanor abuse charge, which carries a maximum punishment of 90 days in jail or a fine of up to $1,000 on the first offense. Instead, petitioners are asking for the offenders to face felony charges for torture, torment, or cruel killing, with a minimum punishment of 180 days in jail. Lucas said Monday that further charges from his department are not expected. “The case on our end is closed, but the solicitor might further investigate the incident,” he said. 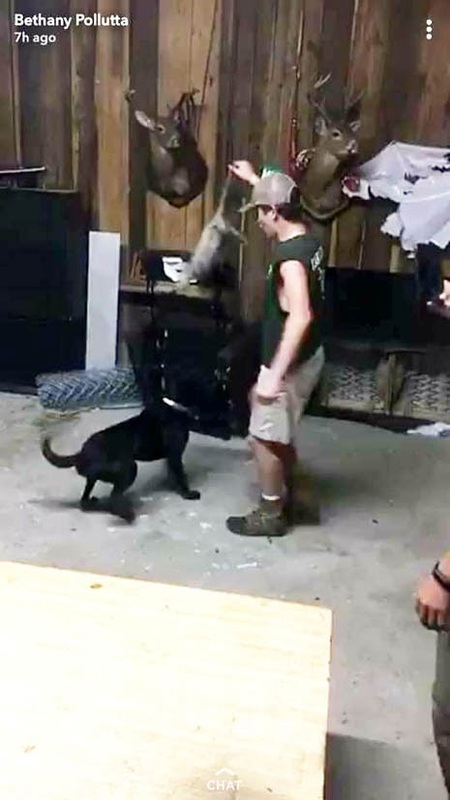 This is the second time in six months the state’s Department of Natural Resources has investigated teenagers abusing an animal on Snapchat. 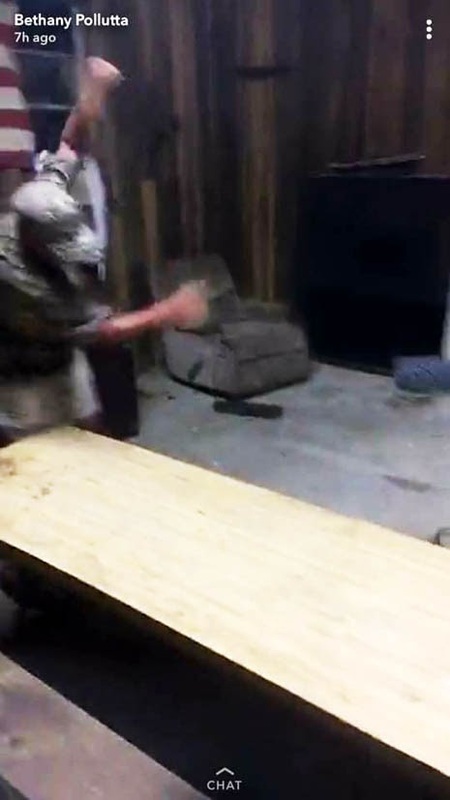 In May, two Ridgeland, South Carolina men were charged with animal abuse after investigation into photos of a group of men pouring beer down an alligator’s throat. In response to the opossum incident, PETA has sent letters to schools in the area urging them to implement humane education. 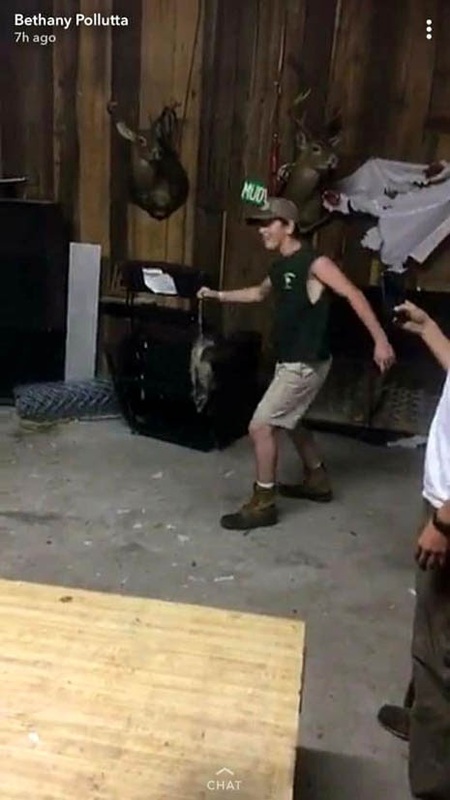 South Carolina: Future serial killers - Laughing teens tortured and beat opossum to death with a baseball bat then posted photos and videos on Snapchat. 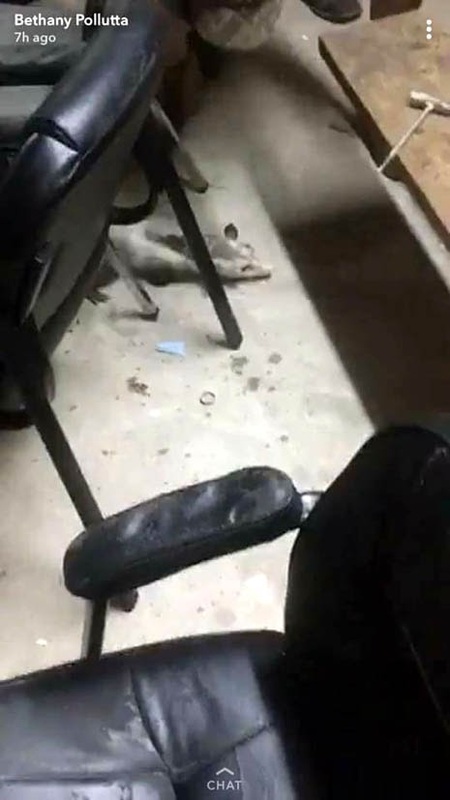 The sister says of the opossum, "You shot its tongue off. The poor thing.... oh my God. This is way more bloodier than the skunk." 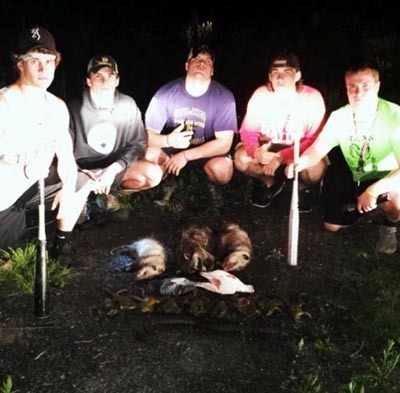 New York: Several teens filmed themselves gleefully torturing a turtle to death. Maximum punishment? $250 fine and "up to 15 days in jail". But we all know that jail time will NEVER happen. 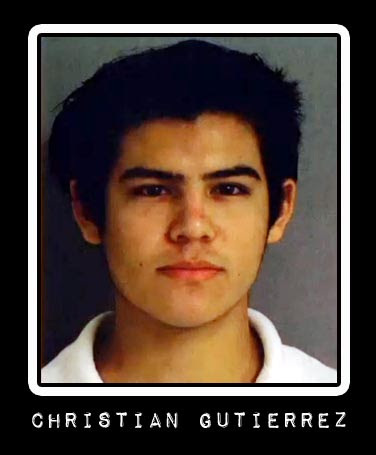 Hawaii: Christian Gutierrez given 45-days in jail for torturing albatross birds to death by breaking their bones, chopping off their feet, kicking them, stomping them, and beating them to death with a baseball bat. 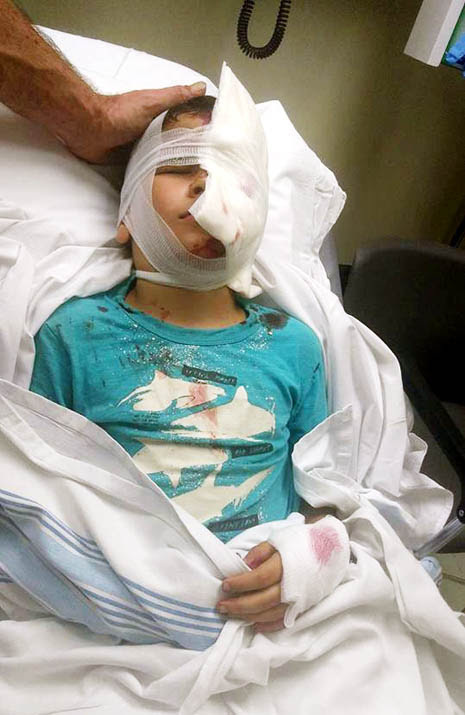 Canada: Nine-year-old boy viciously mauled by American Bulldog; Animal Control gave the dog back to its owners. Is anyone planning on forcing them to euthanize the dog??! 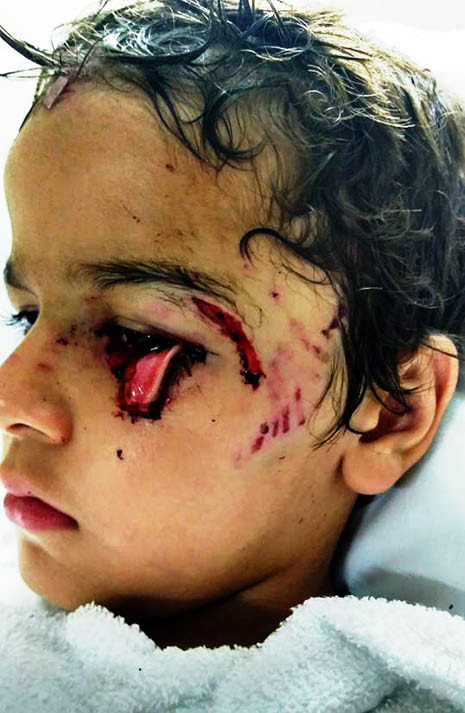 CANADA -- A mother is urging for an American Bulldog to be put down after her nine-year-old son suffered serious injuries in a vicious attack. 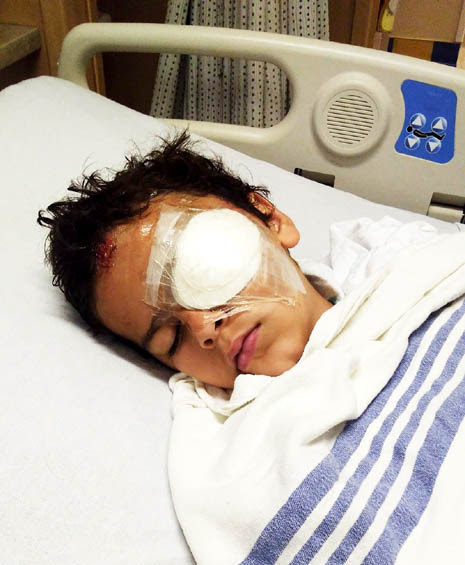 Tania Reid said she received a phone call while at work saying that her son had to be airlifted to hospital from Simcoe County to The Hospital for Sick Children in Toronto after being attacked by the bulldog close to their home in September. She said she was “terrified” and “confused” when she saw her son Justin Reid arrive on a stretcher at the hospital. 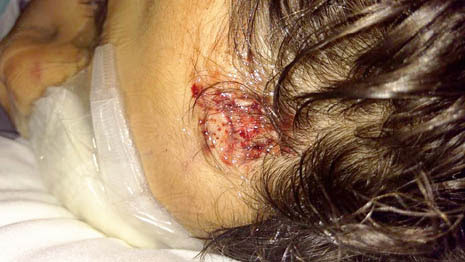 The child also suffered injuries to his back and arm in the incident. After the incident, Tania Reid said the bulldog “needs to be put down” as it poses a “threat” to other children in the area. 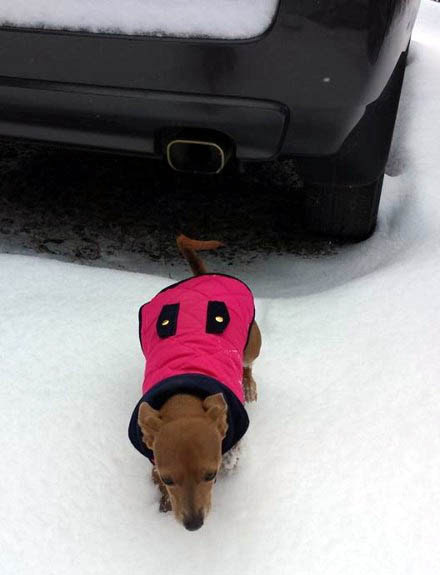 The incident took place on the driveway of a family’s home after the dog escaped. The kids of the home frequently played outside with Justin Reid and his brother. 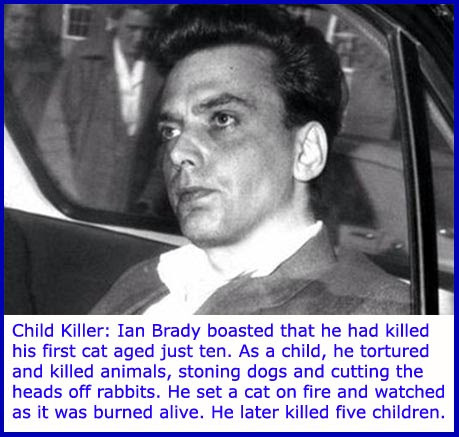 According to Tania Reid, the family has only owned the five-year-old American Bulldog for a few months so it is not known if the dog has a history of any prior attacks. 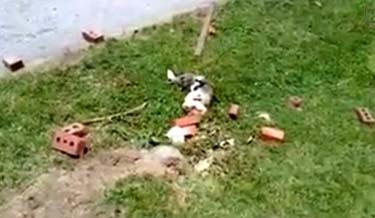 Following the attack, the dog was quarantined to be check for rabies but was later returned to the owners. When CTV News Toronto approached the home where the dog was, the woman inside said she did not want to speak about the matter at hand. Tania Reid said she is very happy that her son is going to be alright but still feels “very angry” about the situation. Three weeks after the incident Justin Reid was able to return back to school in good health. Speaking with the Ontario Provincial Police about the matter, they said a charge under the dog owner’s liability act is before the court and if convicted the owner could face a fine of up to $10,000 or six months in jail. My 9 year old child was viciously attacked and mauled by an American Bulldog on Wednesday Sept 27th. 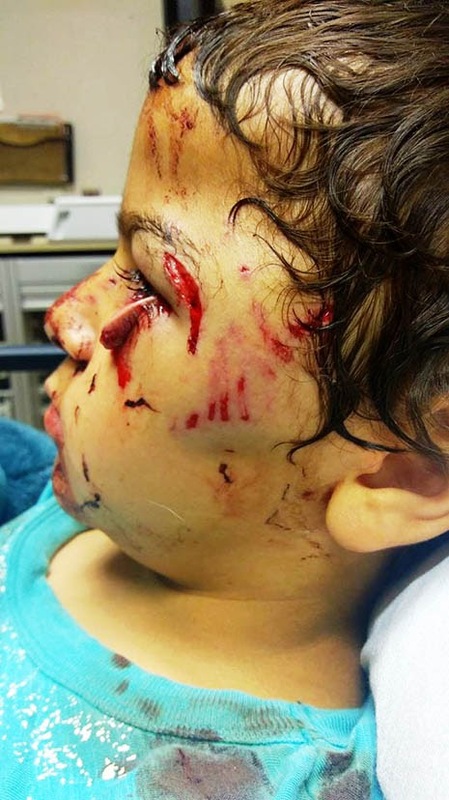 He recieved extensive injuries to his face, eye, teeth, arm, head and bruising to his shoulder. 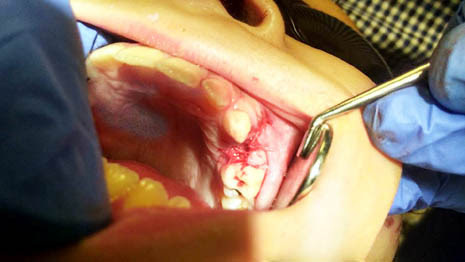 He required several hours of surgery, plastic, opthalmology as well as dental. While we were waiting for him to be transferred to a bed in the emergency department an OPP officer came in asked us what happened. I was not there when it happened but my oldest son was. I called him over to tell the officer what he seen. The officer then told us because it happened on private property no crime had been committed and left us there. 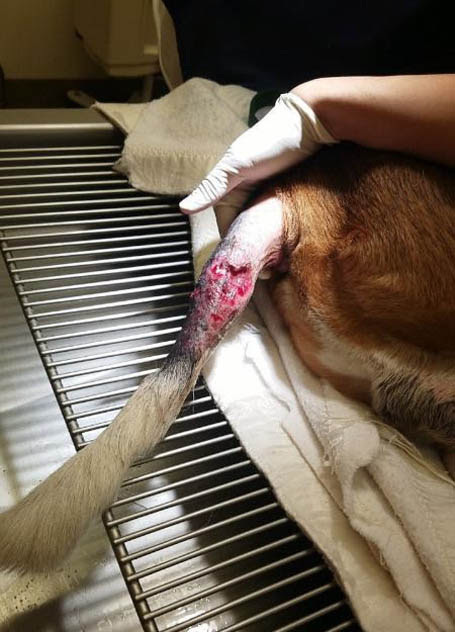 Two days later the health department contacted me and they had no information on the dog, the address, the owners, or extent of my son's injuries. They told me the process was to quarantine the dog for a period of 10 days to observe for rabies. 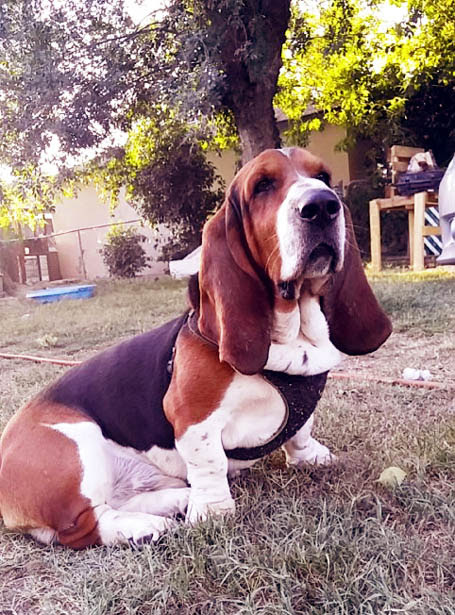 The end of the observation period came and the health department then contacted me to tell me because the dog was not immunized when it attacked my son, the owners were required to immunize their dog within 14 days. This happened very close to our home. 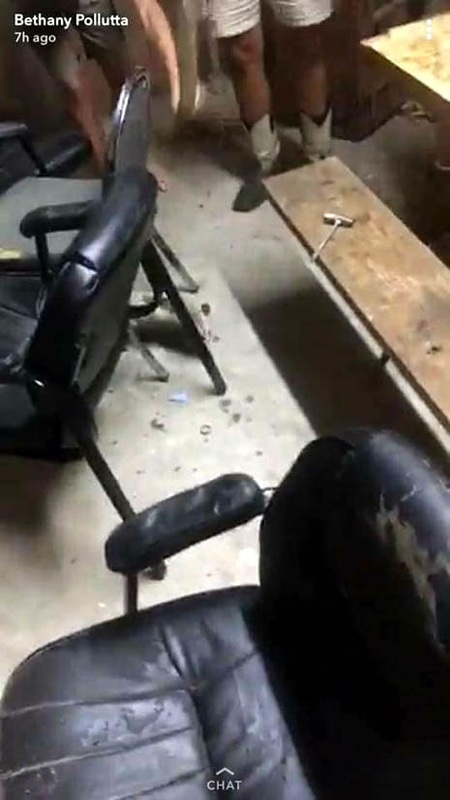 The dog remains where it was. 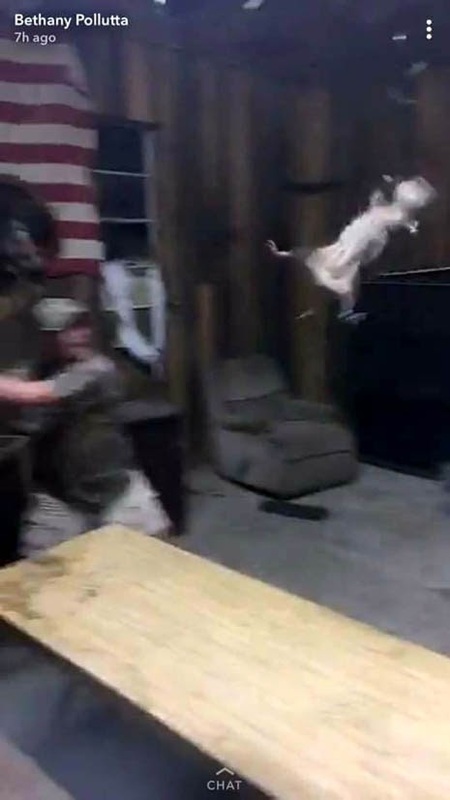 This is incredible to me - that they gave the dog back. 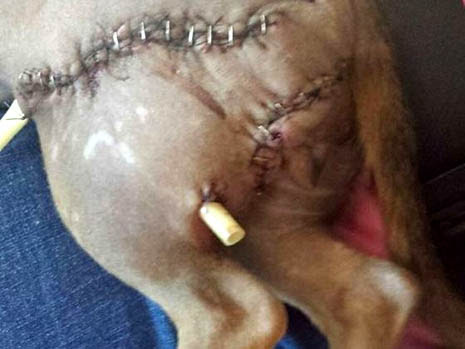 This was an attempted murder by this dog - not a 'simple bite'. 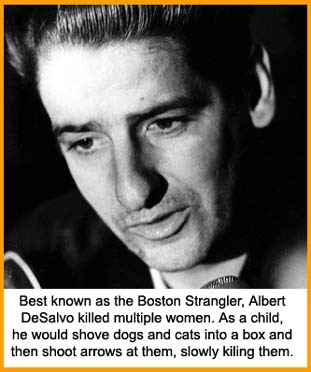 There has got to be a law where she lives where a dog that causes serious bodily injury to a child can be ordered to be destroyed -- regardless of where the attack occurred. No crime committed??? Damn right there was....THIS IS MY SON! Why has the dog that attacked my son been allowed to continue to a pose a risk to our community?! What is the penalty for attempted murder? 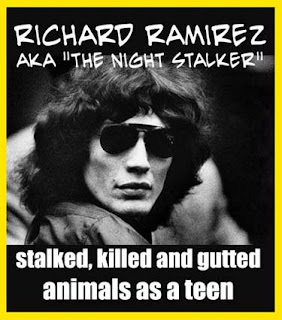 This dog and all the others that have proven to be dangerous must be dealt with!!! 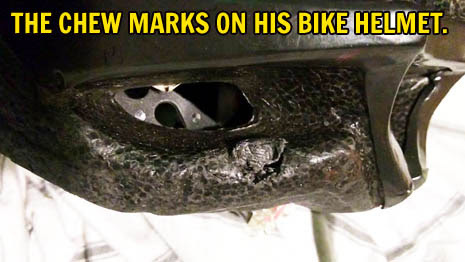 He was wearing his bike helmet. 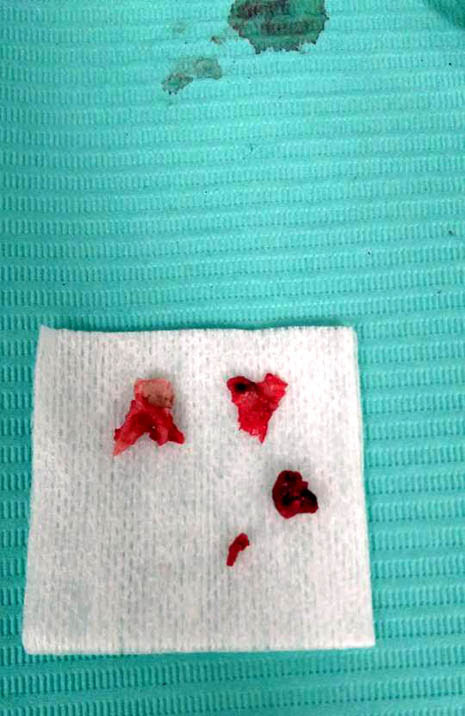 His tooth was shattered into pieces, a huge force trauma from a direct bite. About an inch laceration that had to be stitched up as well. Tania Reid is with Len Hodgson and 2 others in Toronto, Ontario. This moment right here. Imbedded in my memory forever. The moment I had to see Jordan in pre-op, say goodbye and not see him again or hear anything from 1pm -5pm Thursday Sept. 28th. Shortly after 5pm Sept. 28th we were able to see Jordan in the recovery room. I can't speak for Ramona Jakucinskas, Len Hodgson, or Mike Lawson, but I was a frenzied mess!!! Please share we need to stand together for change!!!! 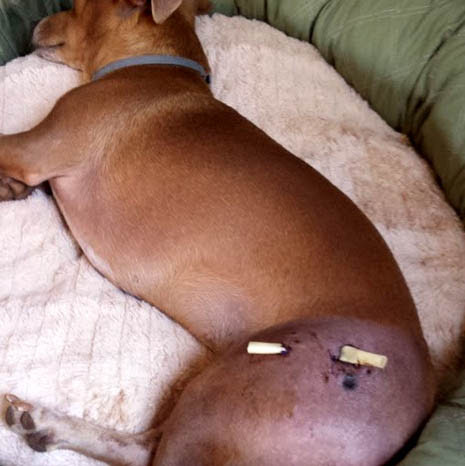 CALIFORNIA -- Lynch was recently attacked by a pit bull on his tail, and was being pulled through a fence. 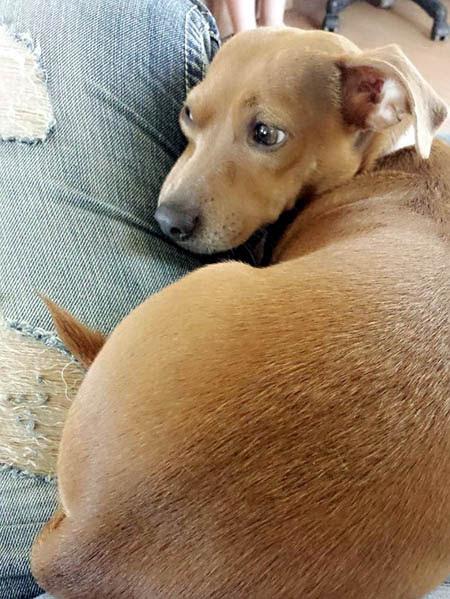 He was seen at Bakersfield Veterinary Hospital and is missing a chuck of his tail. 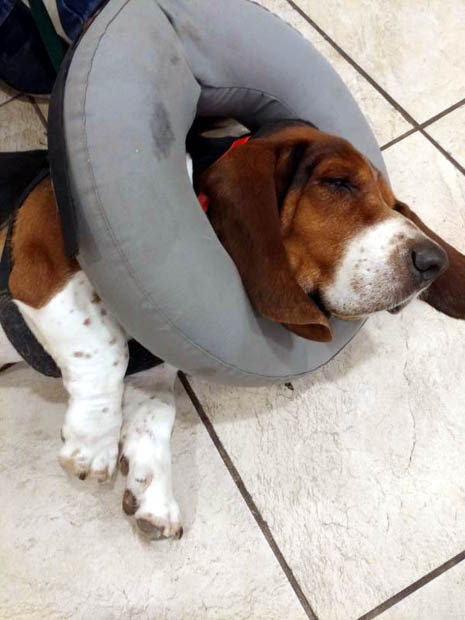 He was sedated and bandaged, and given antibiotics and pain meds. Because of the amount missing on his tail, he will need to be seen every 2 days to be sedated and re-bandaged for the next 2-6 weeks, hopefully shorter if the wound heals properly. 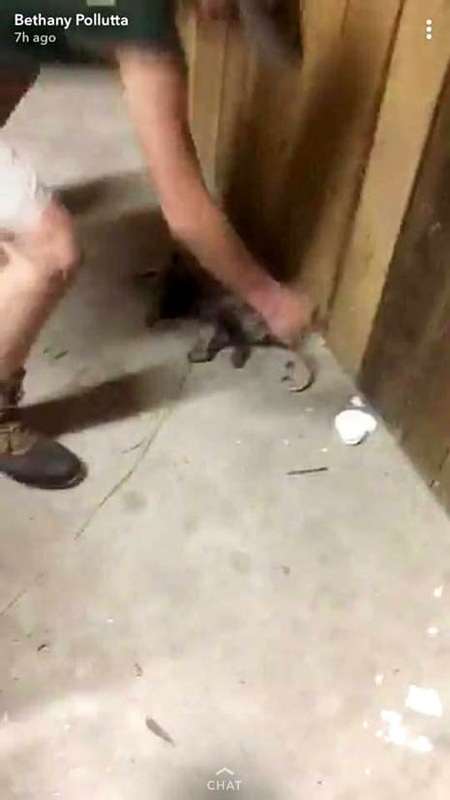 If not, there is a chance for amputation of his tail, but we are hoping it doesn't come to that. 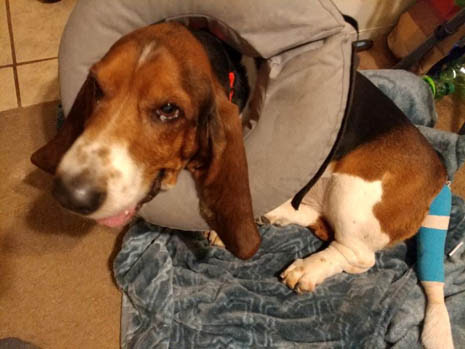 Due to needing to be sedated because of the sensitivity of his tail and the pain, and needing to be re-bandaged every 2 days until further notice, it comes out to roughly $100 each visit, $65 for sedation and $31 to re-bandage and that can add up. Any and every donation will be greatly appreciated. Our baby is just 5 years old and he has a lot of life still in him, we just want him to get better as soon as he can. Lynch was seen this evening around 8pm, and when he got his bandage change we were told his skin still appears to be pink and that it is a good sign! 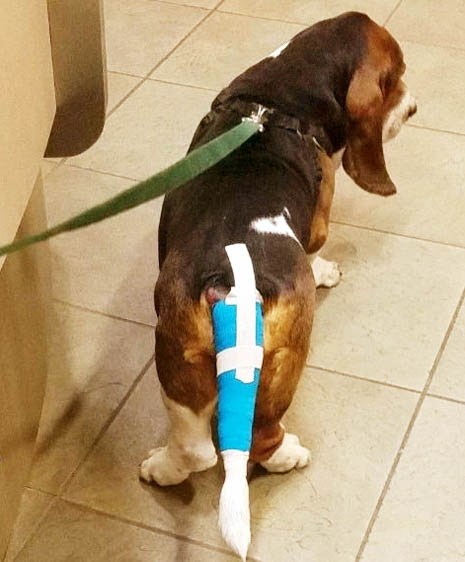 We're staying positive and hoping for the best so that amputation isn't necessary. 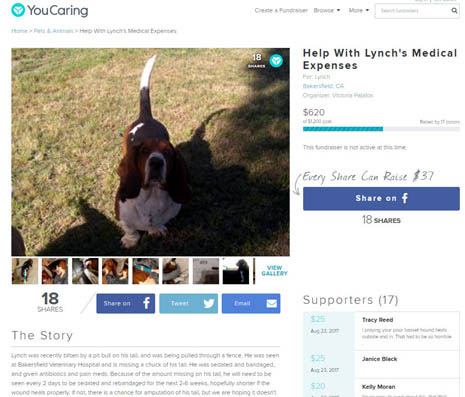 We can't thank everyone enough for their support and love sent to Lynch during his recovery, we are so thankful for everyone who is helping us along the way. Lynch had bandage change #2 this afternoon, and so far so good! Skin around wound is still pink which means antibiotics seem to be helping and it means signs of life in the tissues. Still hoping for the best! 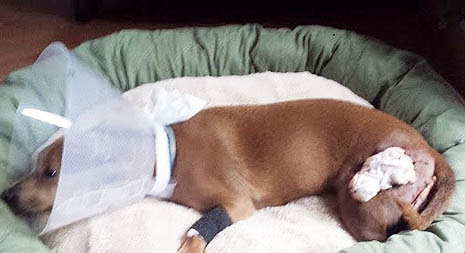 (July 2017) North Carolina: "Abby was viciously attacked by a pit bull right outside her home, in her own yard"
NORTH CAROLINA --This sweet little girl is Abby, a 3 year old dachshund. 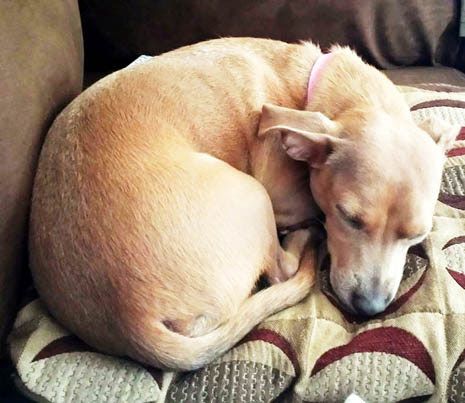 On 6/26/2017 Abby was viciously attacked by a pit bull right outside her home, in her own yard. We almost lost her, the dog would not let go of her. Abby was rushed to REACH ANIMAL HOSPITAL. She would need tubes placed in the deep wounds. After a few days Abby was still not improving and she would not eat. After being rushed back to REACH we were told she would need surgery to remove the flesh that had died around her wounds. She was taken in for surgery and stayed over night to receive fluids. 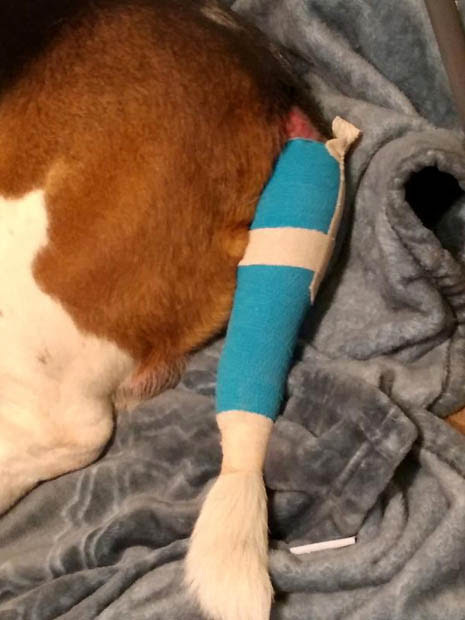 The bandages after surgery needed to be changed by a vet every two days after because they required being sewn into Abby's skin. Tomorrow morning our baby goes back into surgery to have one of the holes closed and hopefully she can begin to heal. 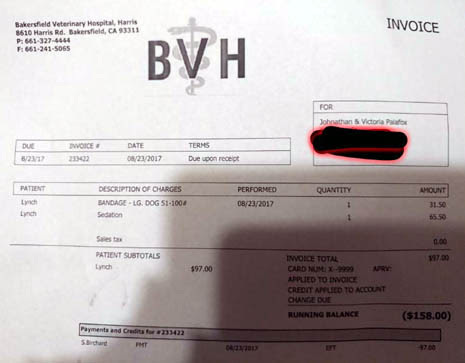 As you can imagine, the vet bills are still growing, at this point we are looking at a little over $2000. 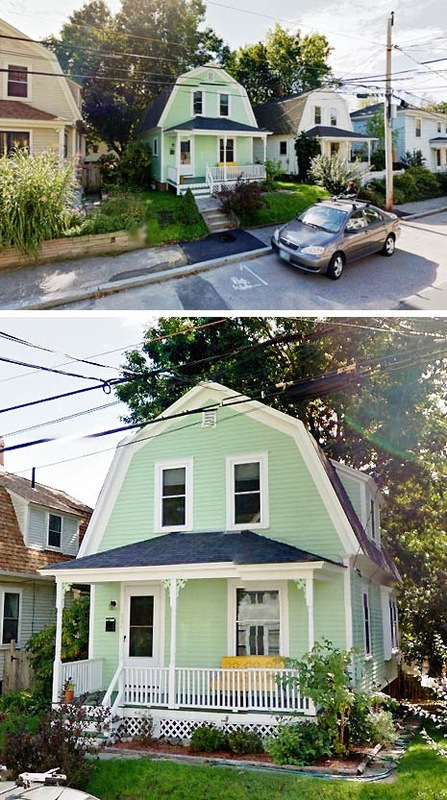 My family no longer feels safe in a neighborhood they have lived in for over 40 years. The pit bull was placed under quarantine for 10 days but will soon be free again to roam the neighborhood killing more defenseless animals as Abby was not the first victim. There are also kids in the area that could be in danger. 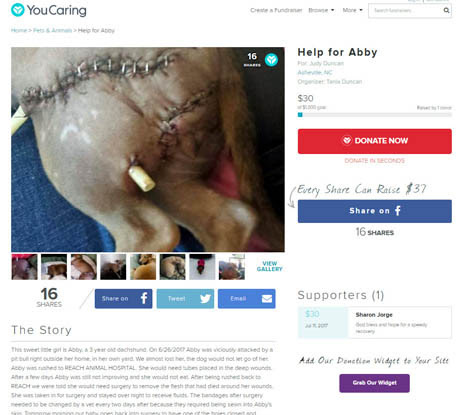 We are desperately needing help with Abby's medical bills. Any size donation would be amazing. If you cant help we understand, please just share and say a prayer for our Abby that her pain eases. If you have any questions for Abby's vet the address and number will be below. If you would like to donate directly please contact Abby's mom Judy Duncan or myself. 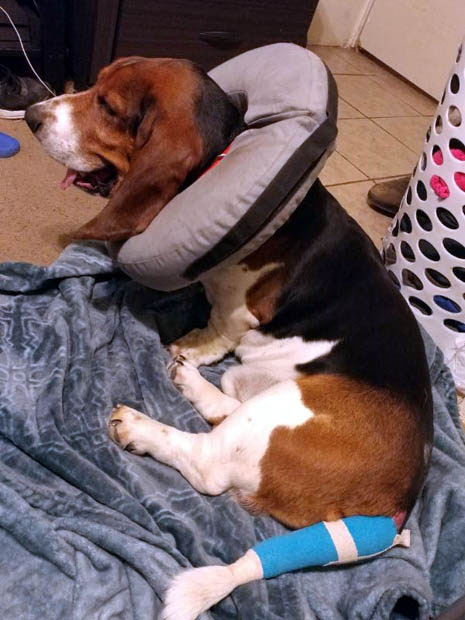 Abby had another surgery today. Hopefully the last one.